When you become a mum you discover a whole stack of superpowers you never knew you had. You can predict the future when your kiddies are having a bit too much fun. And you grow eyes in the back of your head that help you keep watch when everything’s a little too quiet. But no new mumma, no matter how hard she tries, gets super x-ray vision that can actually see through walls. And that means your super senses are on high alert when it comes time to put your poppet to bed. 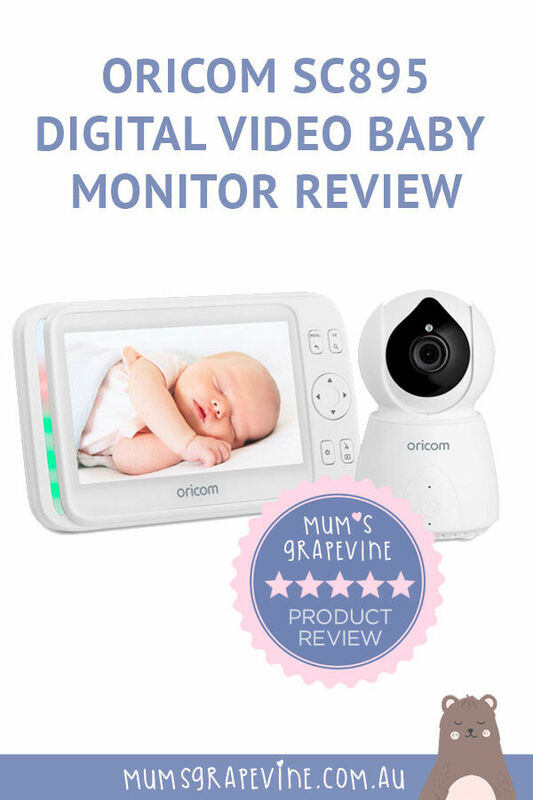 The Oricom Secure895 is here to give super mums peace of mind while bub is behind closed doors and settling to sleep. This latest release from Oricom is the ultimate offsider, jam-packed with clever, high-tech features so you’ll feel like there’s always an extra set of eyes on hand. 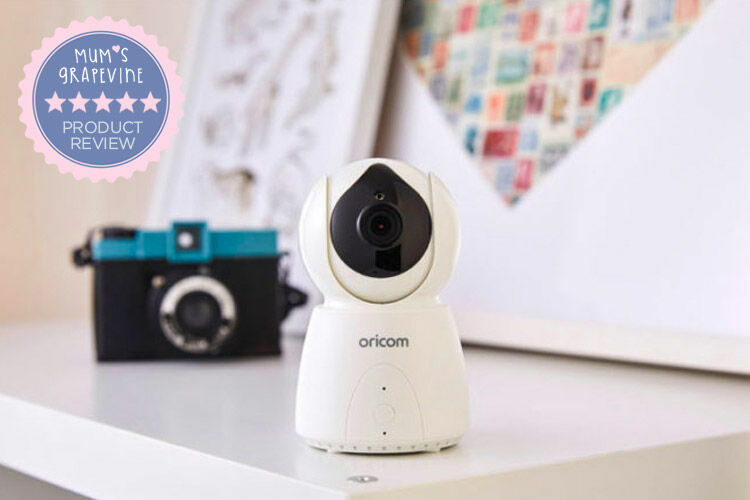 The super-sized screen (the largest screen in the current Oricom video baby monitor range) makes checking on bub a breeze, while its innovative features make the Secure895 an essential in the nursery. 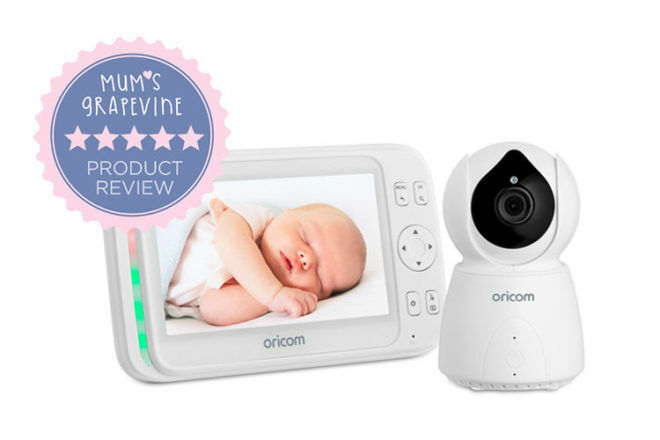 Designed with your squirmy worm’s wriggling in mind, the Oricom SC895 follows bub’s movements with its auto motion-tracking magic. No more wondering which corner of the cot your little Houdini is hiding – hurrah! 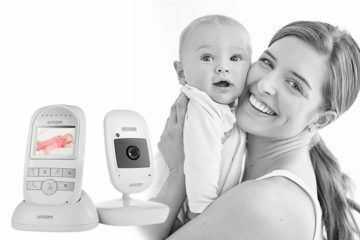 For those nights when your wee one is fussing, simply use the parent talk-back function to help calm them without needing to be in the room. No more sneaking out like a ninja when they’re asleep! 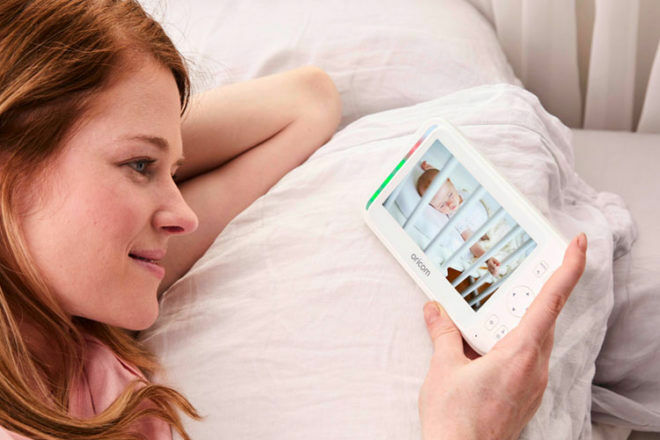 Or if your cherub needs a little extra love as they drift off, the Oricom SC895 has built-in sounds, like calming white noise and lullabies, to help soothe them to sleep. 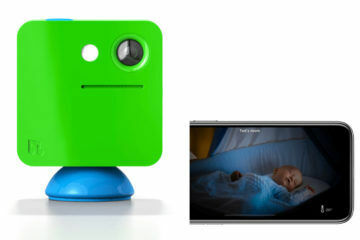 The super spidey senses of the all-in-one unit will also display the baby’s room temperature and will alert you if the temperature is too hot or cold. 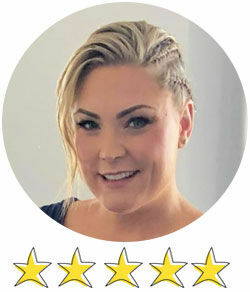 So you can rest easy and enjoy some super sleep of your own. I absolutely LOVE this monitor, it’s so incredibly easy to set up and use. It probably took me about five minutes to set up. I’m the worst at reading instructions, so I didn’t, but it’s pretty much plug and play. It turns itself on, it pairs itself with itself, I really didn’t have to do much. In terms of connectivity and range, I’ve got a two storey, steel framed concrete house and it still finds its way through the concrete and the steel and all of the furnishings, obviously. I haven’t had a problem with connectivity or it dropping out or it having trouble trying to find itself. It’s such a versatile monitor, so easy and has so many functions! The massive viewing screen is amazing! I previously had a little monitor and the screen was maybe an inch square, so going from that to this it’s like a whole new world’s opened up for me! 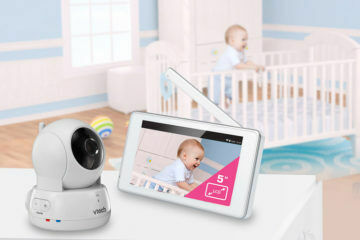 With the motion auto-tracking, if the toddler invades the bedroom, you know straight away, it’s such a brilliant feature. 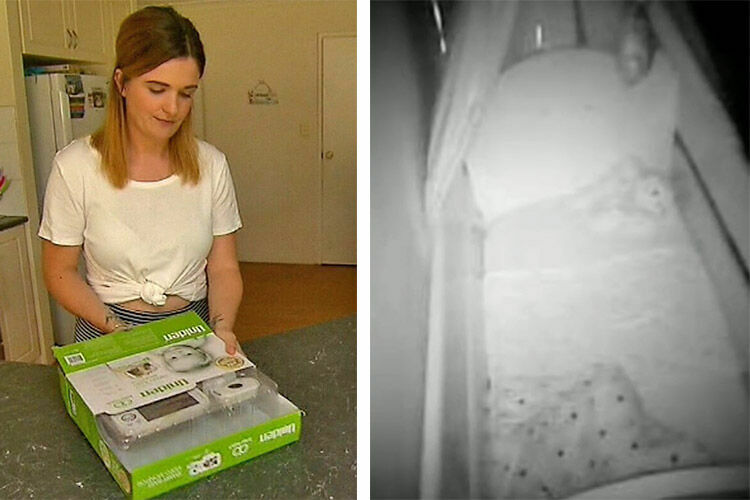 In terms of the night vision, it has a little green light behind it, that throws enough light into the room so it’s not disruptive, but you can see quite clearly her little face and you can see if she’s awake or asleep. It does actually throw enough light that I’ve turned her night light off. I would definitely recommend this monitor to family and friends. 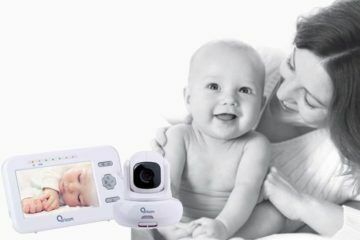 The Oricom SC895 Digital Video Baby Monitor with Motion Tracking is available exclusively from Baby Bunting ($279).